With Adele’s Someone Like You flowing out from the harp in the hands of a swan-like figure on stage the Classic Malts Social, the foyer of Palladium Mall drew the whisky lover in, enchanted, like a child to a candy shop. All Things Nice brought together gastronomy and single malt whisky which we believe are art forms and paired them with other forms of art by renowned artists over a five course menu paired with single malt by Sommelier Nikhil Agarwal at Masque Artists Dalip Tahil | Lekha Washington | Parhad Goghavala | @GautamPatole | Pablo Ramirez Arnol. Single malts for the evening included Talisker, Glenkinchie, Dalwhinnie, Cragganmore, Caol Ila and Lagavulin from the Classic Malts Selection. 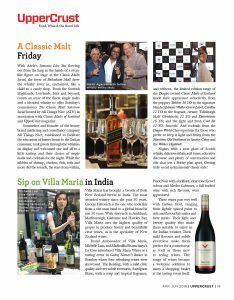 All Things Nice hosted a single malt paired dinner at the launch of the Mercedes S Class in Mumbai. Guests enjoyed a four course dinner paired with Talisker 10 YO, Cardhu 12 YO, Dalwhinnie 15 YO, Cragganmore 12 YO and Lagavulin 16 YO. Guests enjoyed single malt cocktails followed by a tasting of single malts from Scotland with Sommelier Nikhil Agarwal.